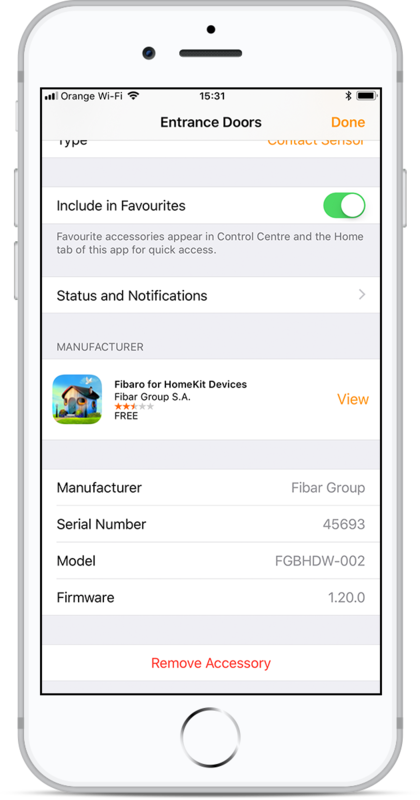 FIBARO devices can be used to protect your home. 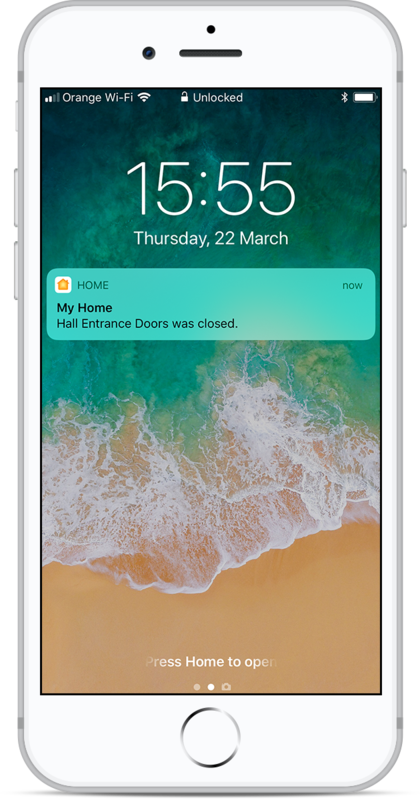 With the FIBARO Door Window Sensor you can set a notification whenever someone opens and closes the door. 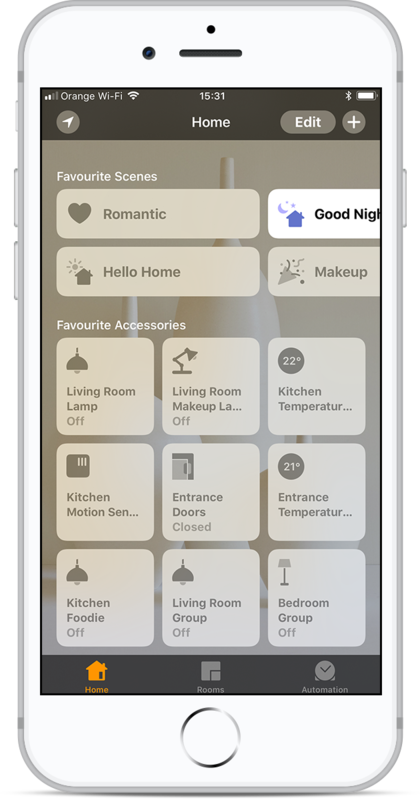 Additionally, you can set up smart conditions which will not bother you when you’re at home. FIBARO Door Window Senor (FGBHDW-002). 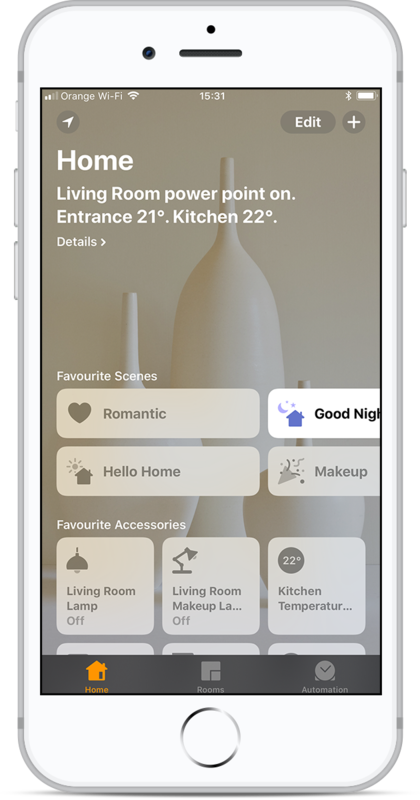 Open the Apple Home app. 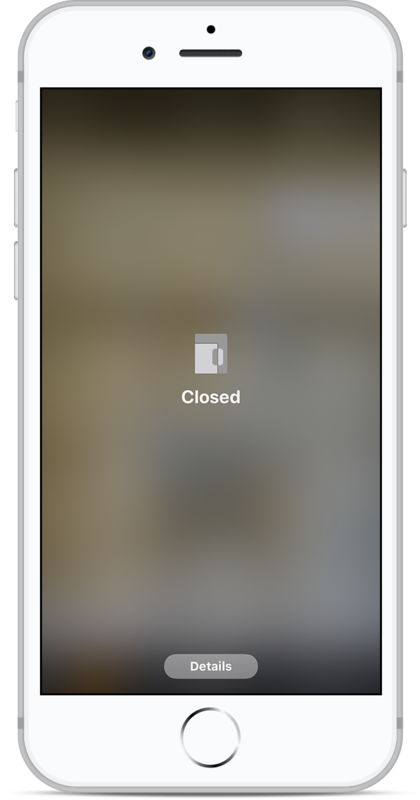 Scroll down and long press or 3D Touch Entrance Doors. 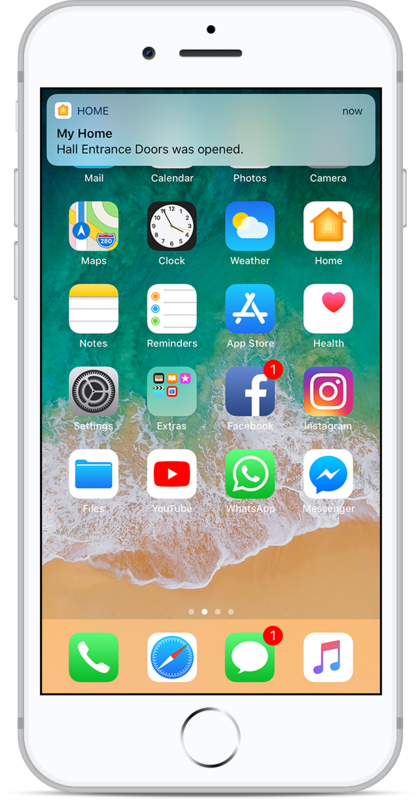 Scroll down and tap Status and Notifications. 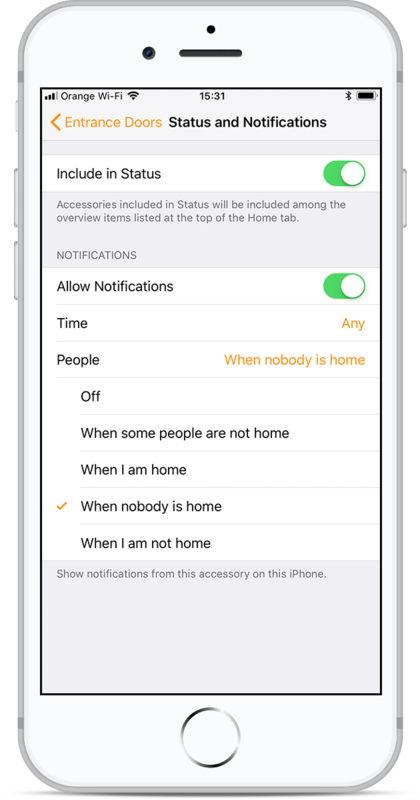 Tap People and set When nobody is home. Finish accessory configuration by tapping Entrance Doors. Notifications are now configured. 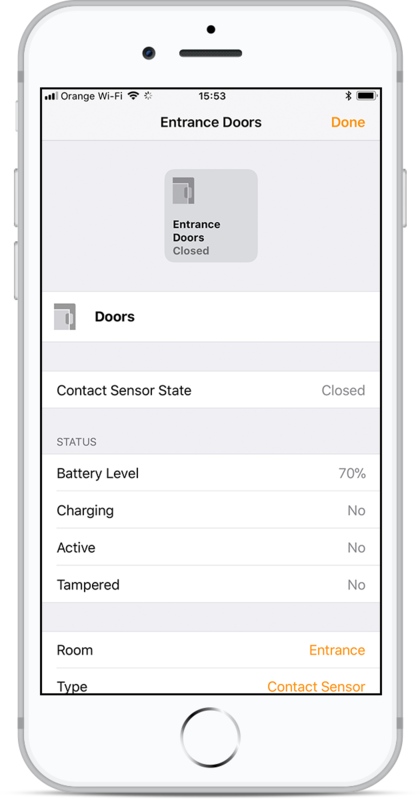 Every time Entrance Doors open or close, the notification will now appear.